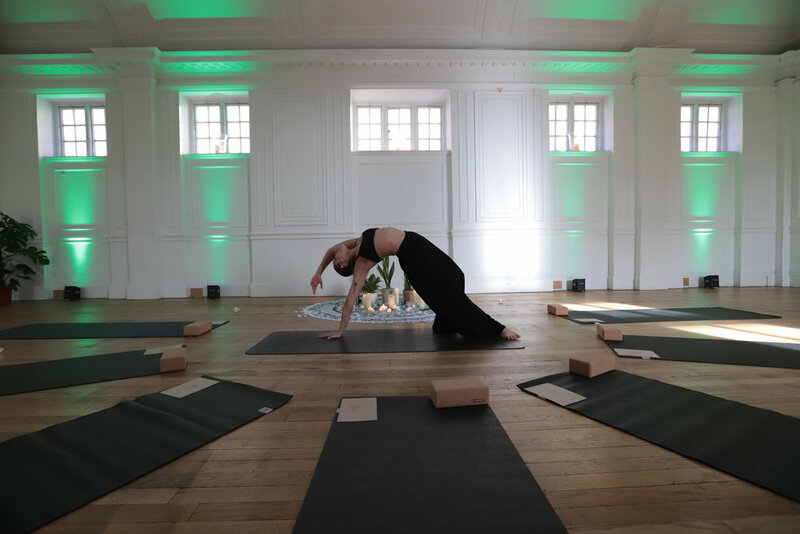 On the 20th of April, Green Rooms is happy to host 2Fold Yoga for another immersive yoga experience in our Gallery. When we think about balance we think about an evenness of mind and body. A quality which is easily overwhelmed especially with our busy, stressful lifestyles. With the pressures of society and our fast paced day to day routines, we are forced to move quickly, spending so much time in our heads creating an upward movement of energy into the mind and body which can leave us feeling unbalanced, confused, lethargic and unstable. Join 2Fold Yoga for a workshop discovering BALANCE, in a 75 minutes vinyasa flow with a series of dynamic postures to help you connect to a place of grounding and stability. Finishing with 15 minutes of guided meditation and head massage to encourage you to let go, be still and surrender to the 'now'. The session will be followed by a delicious and healthy brunch in our Restaurant. Spaces are limited, so book now to join this relaxing and immersive experience. Cocktail Masterclass with Mix & Muddle!